It could be argued that web design has two main goals to fulfill – good looks and quality user experience. However, if you’re running a business you might expect a bit more from your website: in particular, to help you make money. However, if you’re running a business you might expect a bit more from your website: in particular, to help you make money. And the fact that your site is well-designed doesn’t necessarily mean it’s optimized to boost conversions. Nevertheless, there are numerous web design tricks you can use for this purpose. Here are some of them. Personalization is the next big thing, not just in web design, but in digital marketing also. Ease with which you can collect customer data and customize your business or marketing strategies means that you can provide your users with the experience that looks as if it’s made specifically for them. 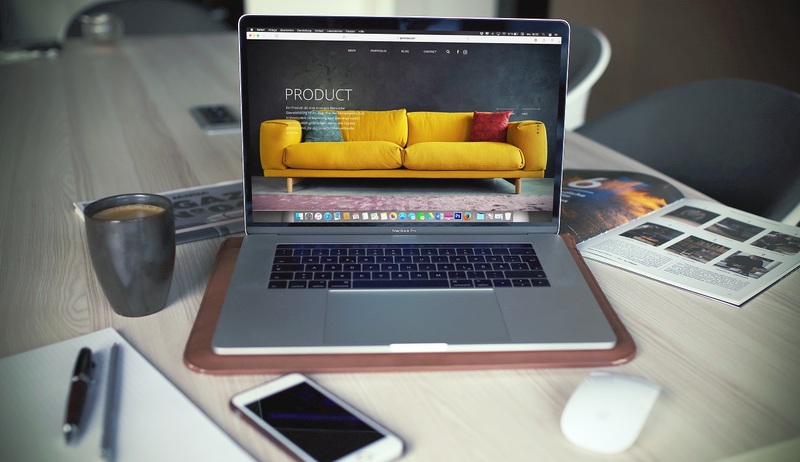 Creating multiple versions of your home page or product pages, based on the user’s location, age and previous actions or purchases can have a positive effect on your conversions. In fact, 86% of consumers believe that personalization has an impact on what they buy. Don’t miss out on this opportunity. Keeping it simple on all fronts is essential. People tend to get too overwhelmed with a huge number of options and products. Hence get rid of all the unnecessary elements and try to limit the number of products you plan to put on the single page. In one famous study by psychologists Sheena Iyengar and Mark Lepper, people were 10 times more likely to buy at a table with 6 types of jam than at the one with 24 types. It seems as if a huge choice was somewhat demoralizing for them and thus they went for the more limited one. Moreover, having too many options can make your website seem clogged and unpleasant to look at. Finally, there’s a chance that this can slow your website down, and that will certainly be a huge conversion killer. Speaking of page loading speed, there’s another trick you can employ in this context, not in order to actually improve your website’s performance, but to create a kind of illusion of speed. Skeleton screens give your users a feeling that something’s happening while the page is loading and it may make them more patient. In any event, a skeleton screen is a sign that your page is responding and that they need to wait just for a few moments, which will definitely decrease your bounce rate and improve chances of conversion. Otherwise, if they wait for 3-4 seconds and see that nothing’s happening, they’re very likely to give up and abandon your site. A very handy practice you can make use of is based on the so-called rule of thirds. It works like this: you’re supposed to draw three horizontal and three vertical lines in order to divide your screen into nine equal squares. Once you did that, you should pay special attention to the four points of intersection of these lines. These are the points on the screen that people are mostly focused on. This is where you should place the elements you find most important. Whether it’s a sign-up button, a product you choose or a free offer, aiming for these spots is generally a good idea. While the rule of thirds rely on the most impactful spots on the screen, the F-pattern is based on the way people tend to scan through the pages. Obviously, this rule is called this way because this pattern looks like the letter “F”, which means that the bottom right corner is probably the worst place to put any important objects. The F-pattern is a significant rule of thumb, especially when it comes to placing call-to-action buttons, and it’s widely employed by top digital agencies specialized in web design and development. We’ve seen which places suit CTA buttons best, but what about their color? Here we have conflicting results. For instance, Hubspot reports that red beats green, but at the end of the day there are numerous successful websites that are doing just fine with green as well. Basically, it turns out there’s no particular color you should use regardless of the context. There are several factors you should take into account, including your target audience. Gender could be one of the factors in this sense. Depending on whether your products are aiming at men or women, going for the favorite colors of the gender you’re targeting is a reasonable idea. The color of CTA will also depend on your overall design and how well the button matches with your brand colors. One of the few theories that the majority of designers and marketers agree with is that CTA buttons should stand out, which means that using a color that’s in contrast with the rest of the page might be the right thing to do. Micro interactions may not seem like the most important design feature, but sometimes the difference between success and failure lies in small details. Micro interactions enhance UX since they can confirm a successfully completed action, like submitting a review or payment, or simply liking a post. When these interactions are really enjoyable and original, it gives out an impression that you’re really committed and detail-oriented. And people will respect that. Micro interactions make the user experience more amusing and your page more engaging and tactile. It adds that little charming and entertaining touch that makes the interaction between a human and a machine less artificial. The feeling of interaction with a device is changed for the better and sometimes this little detail can bring back people to your site and ultimately convince them to make a purchase. There’s a multitude of other design tricks, tools and principles you can use to increase conversions. They include explainer videos, product videos, HQ images, animations, mobile responsiveness, machine learning and multistep forms, just to name a few. In any event, it’s crucial to have in mind that dedicating some of your time and energy to conversion-driving design tactics can be very beneficial for your website or your business. Make sure to stick to the mentioned strategies and practices and pay attention to details in order to make the most of it.